There was something so strange about revisiting Mac and Me so many years later. I spent nearly 20 minutes rewinding the old, used, grainy VHS tape; as a child the local grocery offered movie rentals, and the long grocery trips with my Mom turned into regular pit-stops through the four rows of recent releases. She eventually bought the film for $9.99 (which makes sense since I rented it every time) and this movie traveled with me to more states than most people have ever visited. And I have to say, after watching Mac and Me as an adult, I can see how it would appeal to a Happy Meal mindset. This is a cheap imitation of movie, made with filler and byproduct, but when you close your eyes hard enough you just might be able to convince yourself that it’s the real deal. Like a kid forging a parent’s signature on a detention slip, Mac and Me’s penmanship is noticeably infantile, but not for lack of effort. Relocating from Illinois to California, the Cruise family is looking for a fresh start. The single mom Janet (Christine Ebersole) starts a new job at Sears. Michael (Jonathan Ward), your typical 80’s depiction of a big brother – easily annoyed and horny as hell – doesn’t make time for his younger sibling from the start. He’s Eric (Jade Calegory), a wheelchair-bound outsider of a boy. The family’s cross-country move comes to a slow as government officials stop each car, and unwittingly, they harbor a little alien we come to know as MAC, separated from his own family after being sucked up via a vacuum on a NASA spacecraft. Some antics ensue. Eric gets blamed for the chaos due to his rampant imagination. MAC bellows out beacon calls to his lost family and Eric tries to find the creature causing all the ruckus. What’s particularly strange about Mac and Me, and there are many options to choose from in this department, is that it somehow manages to feel relevant 30 years after its initial release. Aliens lost in the desert, trying to find their child, stirring local hysteria for no good reason. They’re hunted and have guns pointed at them and nearly die. The film has a little to say about the immigration of illegal aliens through a very direct approach, and how humans have an uncanny ability to fear first and think second, but none of it really matters without proper context or thoughtful execution. Mostly I was surprised by two things: to see that Mac and Me is at least competently made, and to see that it’s all working off of an absolutely horrible script. You can almost taste how cheesy the dialogue is, feel how the dire acting is reminiscent of a preserved cadaver, and how the entire movie belittles the heart and the soul of the very film – E.T. The Extra Terrestrial – it so clearly emulates and unwisely tries to copy beat for beat. 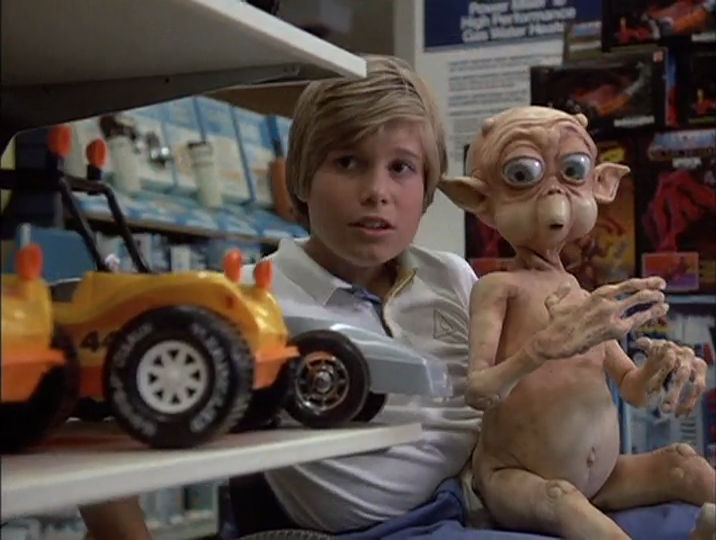 From the title itself and all of product placement abundantly scattered throughout the picture, Mac and Me is a how-to guide for directing the corporate shill’s version of E.T. Reese’s Pieces are traded out for Skittles. The aliens are literally resurrected through the sugar rush of a freshly popped can of Coca-Cola. A pivotal part takes place at a McDonald’s birthday party, featuring Ronald himself and the most bizarre dance sequence that I’ve ever seen on film (the fast food clown even introduces the damn trailer below). Worst of all, the movie names its friendly alien not after something unknown we want to understand or care about, but after the quintessential burger that the restaurant giant wants us to consume again and again. Mac and Me has earned its infamous status as a cult classic because it is quite bad and because it’s easy to laugh at, and it’s the type of movie where you can tell the scant idea was born in a board room by the authors of greed instead of someone who really cares. 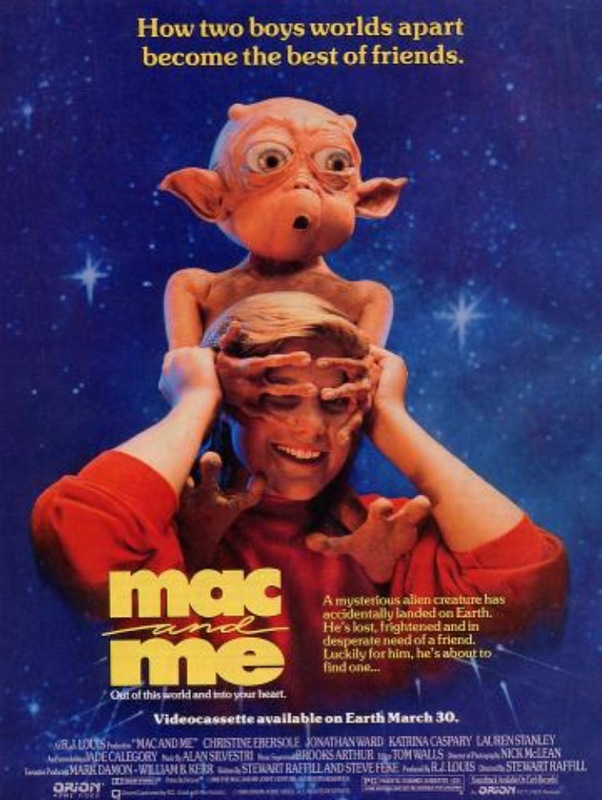 Mac and Me might be the longest commercial ever released in theaters.